Building a Contact Form has never been easier. Simply Drag and Drop questions, edit colors, paste the code on your site, and you are done! 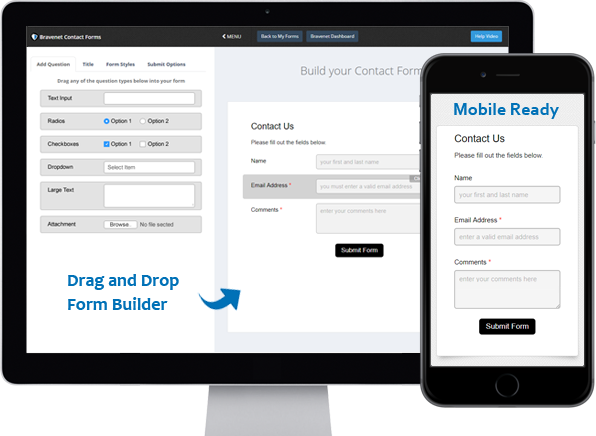 Build a Contact Form for FREE! 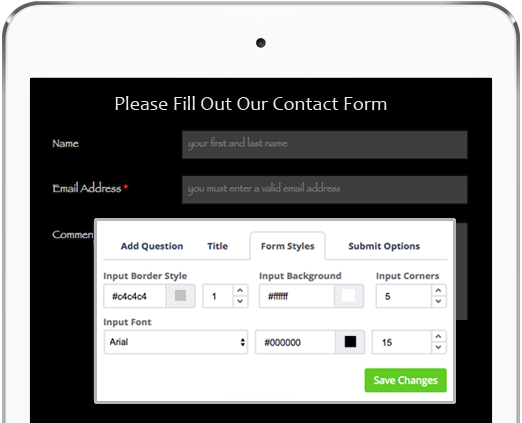 Design your Contact Form to look just the way you like. You can easily modify fonts, background colors, input styles, border styles, buttons and more. 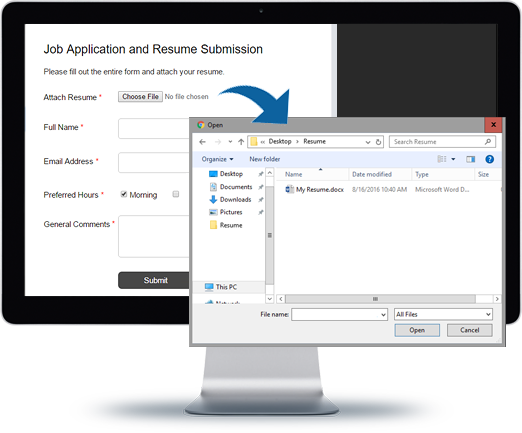 If you want to allow your site visitors to send you a file, simply drag in a 'File Attachment' field into your form. This is great for accepting resumes, mock up designs for print shops, photography, work proposals, or any other types of files you may wish to receive. In addition to receiving an email with your visitors' submissions, we also store it in our cloud for analytics, download and backup. 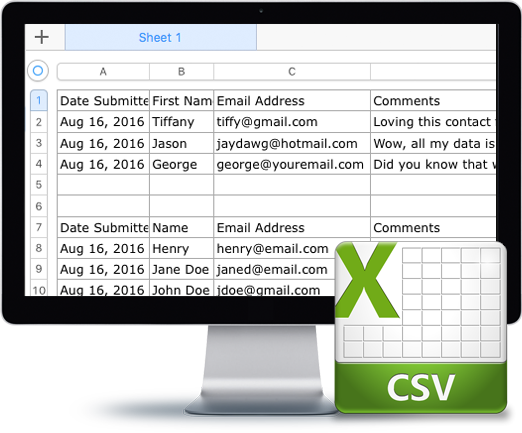 Download your data to CSV (Excel) anytime. It's a fantastic way to store, sort and analyze data. You have full control. Adding 'Required Fields' is very important when collecting information. You can also decide what kind of validation to use when your visitor submits their information; such as requiring the user to input a valid email address, date or website URL. 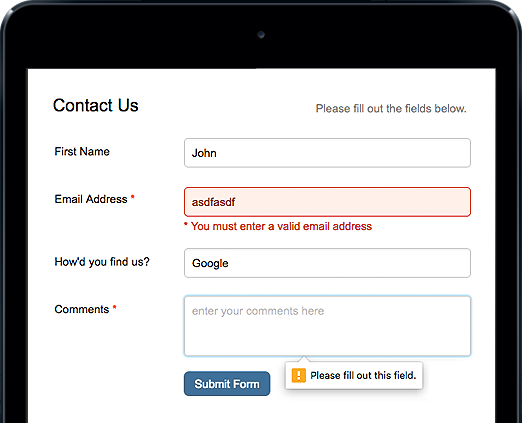 You will love how fun it is to build a form. Then style it the way you like, paste the code into your site, and start collecting user submissions. Start collecting submissions from your website visitors. 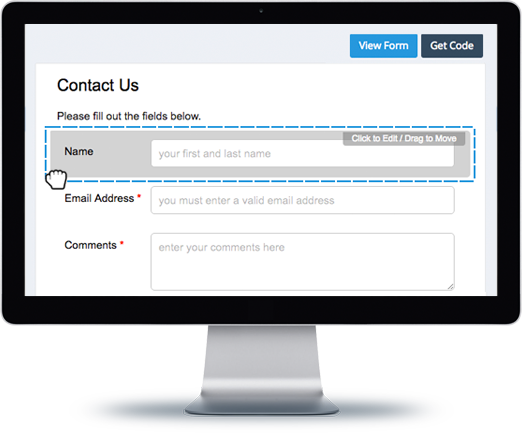 Build a Contact Form. It's FREE!